A VPC peering connection is a networking connection between two VPCs that enables routing of traffic between them using private IP addresses. 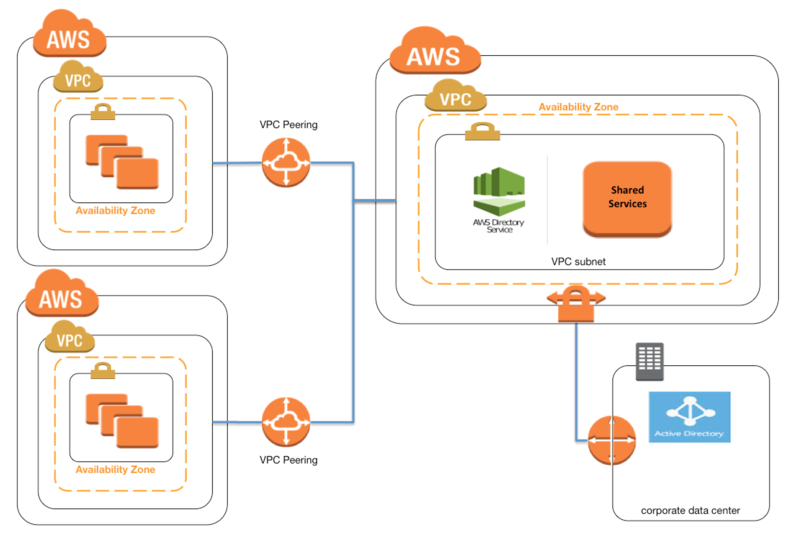 VPC peering connection can be established between your own VPCs, or with a VPC in another AWS account in a single different region. AWS uses the existing infrastructure of a VPC to create a VPC peering connection; it is neither a gateway nor a VPN connection, and does not rely on a separate piece of physical hardware. VPC peering connection cannot be created between VPCs that have matching or overlapping CIDR blocks. VPC peering connection are limited on the number active and pending VPC peering connections that you can have per VPC. A VPC endpoint to an AWS service; for example, an endpoint to S3. Maximum Transmission Unit (MTU) across a VPC peering connection is 1500 bytes. Instance’s public DNS hostname does not resolve to its private IP address across peered VPCs. A company has an AWS account that contains three VPCs (Dev, Test, and Prod) in the same region. Test is peered to both Prod and Dev. All VPCs have non-overlapping CIDR blocks. The company wants to push minor code releases from Dev to Prod to speed up time to market. Which of the following options helps the company accomplish this? Create a new peering connection Between Prod and Dev along with appropriate routes. Create a new entry to Prod in the Dev route table using the peering connection as the target. Attach a second gateway to Dev. Add a new entry in the Prod route table identifying the gateway as the target. The VPCs have non-overlapping CIDR blocks in the same account. The route tables contain local routes for all VPCs. Hi Veeresha, frankly speaking from my experience it might just be enough to clear as it covers most of the stuff for Associate exams. Thanks for wonderful blog…. it helping…..
What are the certifications u cleared?? Have u cleared the exam?? All the best for the exams, be sure to go through the questions on the blog. Let me know the result. Hi Jayendra, Thanks first of all and appreciate your efforts to put in the AWS knowledge on this nicely organized portal. Just would like to check if your block contents are constantly updated now a days ( Jan 18 ) ? Most of the contents are updated and they are constantly updated as well. 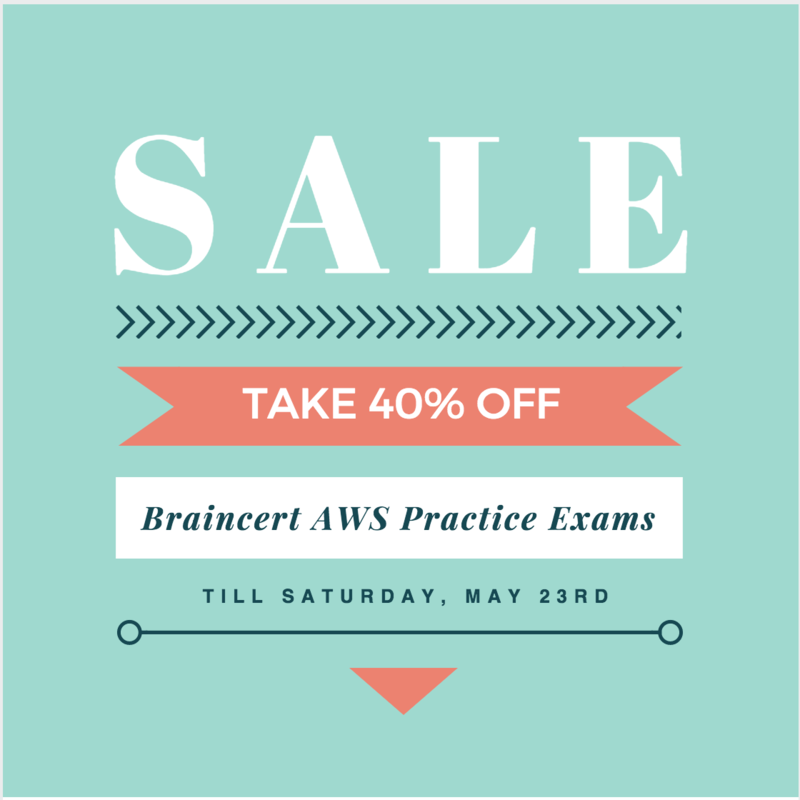 Key points to remember – AWS have enhancements every other day and the exams do not reflect the same. Congrts Amit !!!. Amit, I am also planning to appear SA exam in near future. could you please help me what questions were appeared in the exam ? cloud guru is sufficient to clear exam ? Hi, suggest further on this… thnkx…. Can you help with this q? A.Establish a hardware VPN over the internet between VPC-2 ana the on-premises network. B.Establish a hardware VPN over the internet between VPC-1 and the on-premises network. C.Establish a new AWS Direct Connect connection and private virtual interface in the same region as VPC-2. D.Establish a new AWS Direct Connect connection and private virtual interface in a different AWS region than VPC-1. Would go for B & E as Direct Connect connections are not redundant and you need to provide fault tolerance either by setting up a second Direct Connect connection or using VPN. Also, the connection should be to the same VPC as even though the VPC are peered, you cannot connect from one VPC to other. Thanks Jay for this wonderful website. 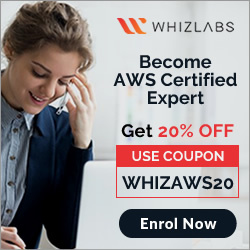 I just passed my AWS CSA-A. Your content helped a lot. Thats Great Murali, Congrats …. Hi Jayendra, can you please explain answer to Q1? What to understand why option b is incorrect. 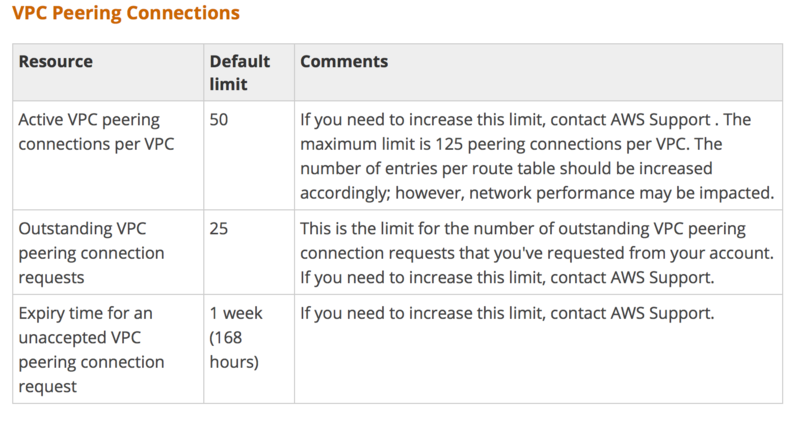 As the connections are non transitive, a route table entry would not work and you would need to set a new peering connection between prod and dev. The answer “a” also tends to transitive peering i.e. test prod and test dev so ideally we should not be doing transitive peering between prod dev . Could you please explain how “a” option suits the best . A is a direction connection between Prod and Dev. Its not transitive i.e. not via QA. VPC peering connection across regions is now supported. Using shared VPCs, you can mount an Amazon EFS file system that is owned by one account from Amazon EC2 instances that are owned by a different account. Thanks Den, Shared VPC is newly introduced. Will check and update the same.